In two weeks, will present Squirrely Roo Rabbit at Otakon, one of longest-running and most attended anime conventions in the United States. Otakon 2017 will mark the convention’s move from Baltimore, Maryland to Washington, D.C. The annual convention celebrates Asian pop culture (anime, mange, videos games, music, etc.) across a three-day event hosted by the nonprofit Otakorp. 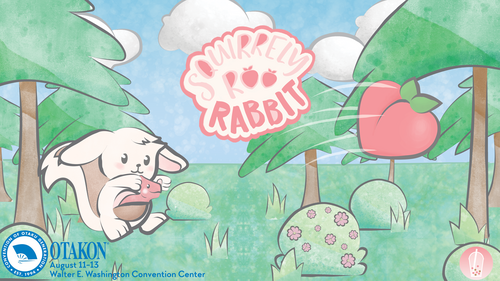 Attractions include cosplaying, merchandise, screenings, concerts, and games like Squirrely Roo Rabbit!